ARRA News Service: Russian Bots vs. Media/Academia/Hollywood — Which Had A Bigger Impact On The Election? Russian Bots vs. Media/Academia/Hollywood — Which Had A Bigger Impact On The Election? by Larry Elder: The indictment of a dozen Russian spies explained, in great detail, the extent of their interference in the 2016 election. Americans learned about the depth and extent of the Russian operation to interfere. That the Russian activity altered the outcome of the election to “make Trump win” has become an article of faith for many who still cannot fathom how Donald Trump beat Hillary Clinton. This will persist as a subject of speculation in book after book, for a long time. What will be of less concern to the same researchers and writers is the far greater impact of the anti-Trump trio of media, academia and Hollywood. Professor Tim Groseclose, author of “Left Turn: How Liberal Media Bias Distorts the American Mind,” makes the case that were the media truly fair and balanced, the average state would vote the same way Texas votes, in favor of Republicans. But media bias gives Democrats a bump of about 8 to 10 points. Of 20 major sources of news, Groseclose found about 15 years ago, 90 percent lean to the left. NBC’s “Meet the Press” host Chuck Todd worked on the 1992 presidential campaign of left-left Democrat Sen. Tom Harkin. CNN’s Jake Tapper used to work for a U.S. House Democrat. ABC News “chief anchor” George Stephanopoulos worked as a top campaign strategist for the election of Bill Clinton, and after Clinton’s election worked as his communications director. Critics at CNN hyperventilate over the relationship between President Trump and Sean Hannity. CNN’s Brian Stelter called this relationship between the star of a television news network and the president “weird,” saying, “No TV host has ever had this kind of relationship with a U.S. president before.” Really? Hannity is not a news “journalist,” and the relationship is not a secret. Contrast this with the close relationship President John Kennedy enjoyed with Ben Bradlee, the editor of the highly influential Washington Post, the paper that helped topple President Richard Nixon. That the two were close is no secret. What the public did not know is that Bradlee was such an advocate for JFK that, during the primary presidential campaign, Bradlee gave Kennedy private tips on how to beat rival Lyndon Johnson. The Huffington Post, for months after Trump’s formal entry into the race, refused to cover the campaign in its political section. Publisher Arianna Huffington called Trump’s candidacy, in effect, a circus that did not deserve serious coverage. Academia, on the humanities side, overwhelmingly leans left. What effect does this have on the voting habits of students? Since Trump’s election, we’ve seen a video of a university teacher likening Trump voters to “terrorists.” We hear of professors denouncing Trump as “racist” and predicting a dystopian future. No doubt during the election many professors let their opinions and preferences be known to their students. Years ago, an American Enterprise magazine study confirmed what we already know, that our college and university faculty, whether big or small, north or south, east or west, private or public, are mostly left-wing. What effect does our left-wing academia have on the electorate? Hollywood hates Trump. From first dismissing candidate Trump as a clown and a buffoon to, post-election, when actor Robert De Niro said, “F— Trump,” Hollywood dislikes Trump perhaps even more than it did President George W. Bush over the Iraq War and Hurricane Katrina. Ann Coulter was ridiculed by “Real Time” host Bill Maher, her co-panelists and the studio audience when she told Bill Maher that she thought Trump could win the Republican nomination. President Barack Obama, echoing a common line throughout the election from the late-night comics, insisted Trump would never be president. There is no doubt that Russia attempted to interfere in our 2016 presidential election. Why didn’t Obama do more to stop it? Two likely reasons. First, Obama correctly assumed that the American people could not be manipulated into voting for someone they otherwise didn’t want to because Russian bots reprogrammed their minds through Facebook. Second, Obama, like most pundits, assumed that Hillary Clinton, whom he called the “most qualified” candidate ever to run, was unbeatable. Whatever influence Russia may have had on the elections is dwarfed by the “collusion” of the largely anti-GOP media, academia and Hollywood. If the right dominated these fields, congressional Democrats would demand hearings. 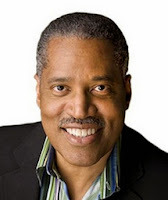 Tags: Larry Elder, commentary, Russian Bots vs. Media/Academia/Hollywood, Which Had A Bigger Impact, On The Election To share or post to your site, click on "Post Link". Please mention / link to the ARRA News Service and "Like" Facebook Page - Thanks!